The young cricketers of Seth M.R. 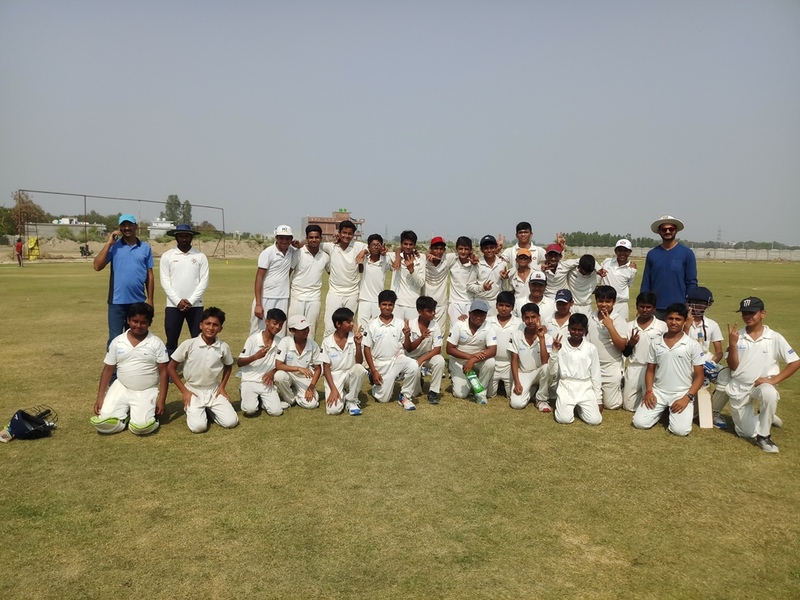 Jaipuria School unlatched the academic session in the sports arena, where the team won the UNDER-19 friendly cricket match held at Seth Anandram Jaipuria School, Alambagh . The event was hosted by the Cricket Academy Sports Galaxy on 6th April, 2019. The match was won by 222 runs. Sonu Kumar, Yash Singh Chauhan, Raghav Mishra helped the team score 298 runs in 35 overs. Sports Galaxy ended at 76 runs all out. Well, the fighting spirit was strong in every cricketer’s heart. The coveted award, MAN OF THE MATCH was awarded to SONU KUMAR ( NAV SRIJAN).